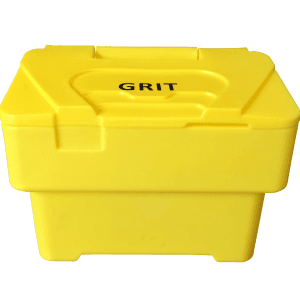 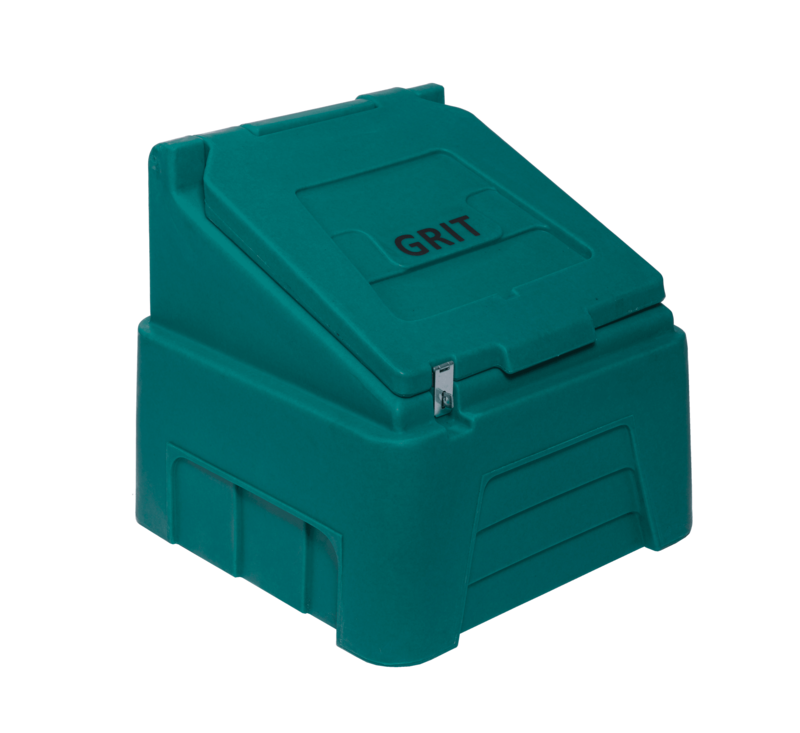 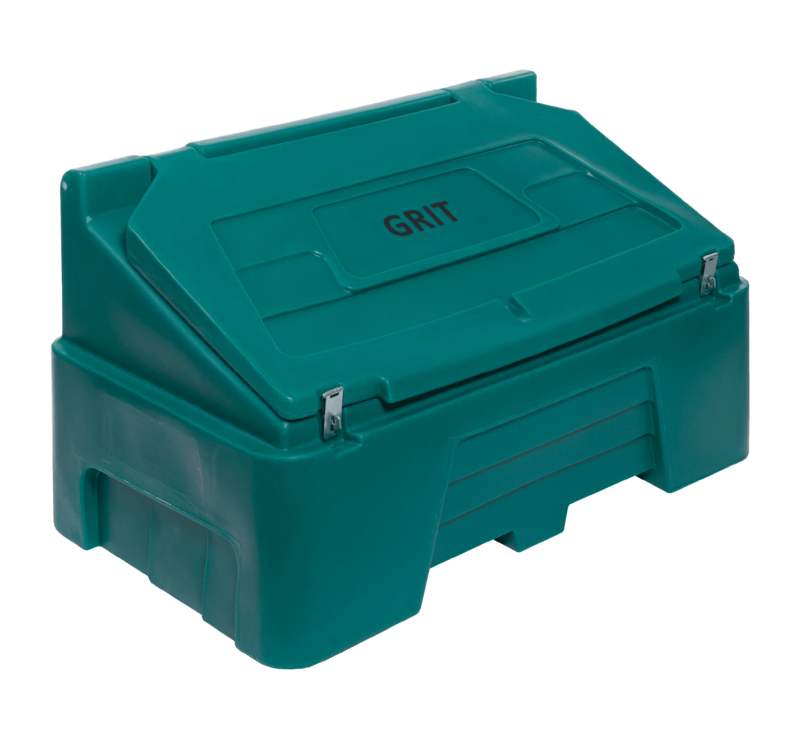 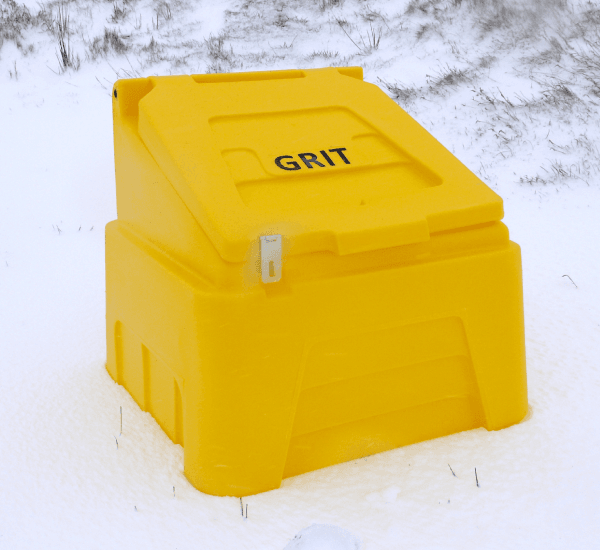 These heavy duty grit bins are built to last and are extremely popular with local authorities looking for a high quality grit bin. 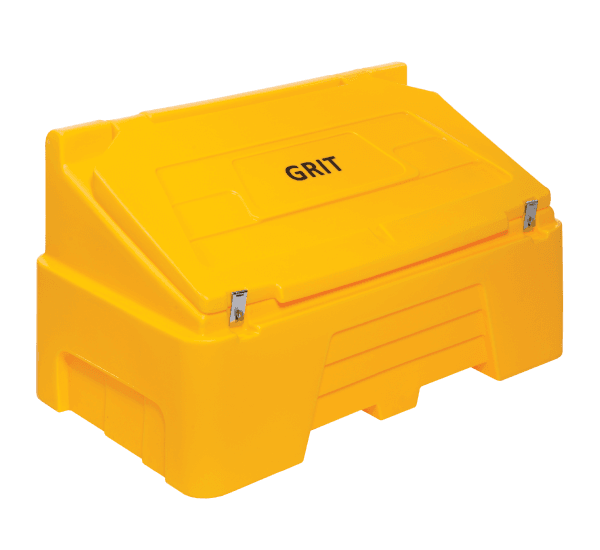 Both are lockable as standard so afford the user that extra level of security. 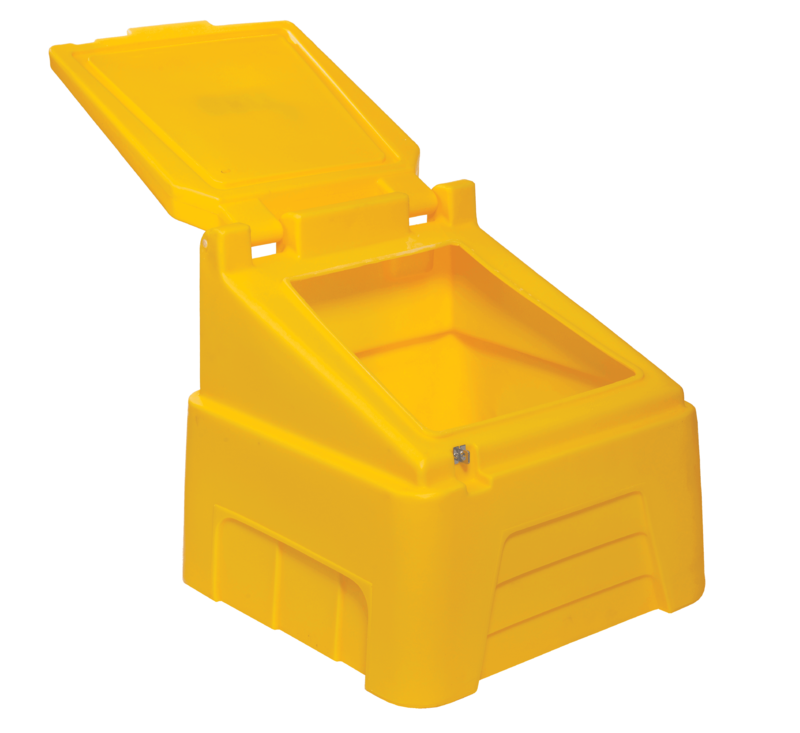 With capacities of 200 litre and 400 litre, we have a capacity for every requirement. 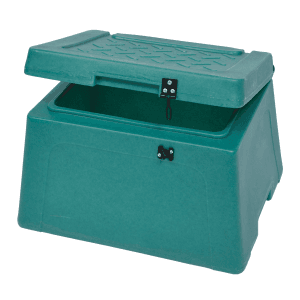 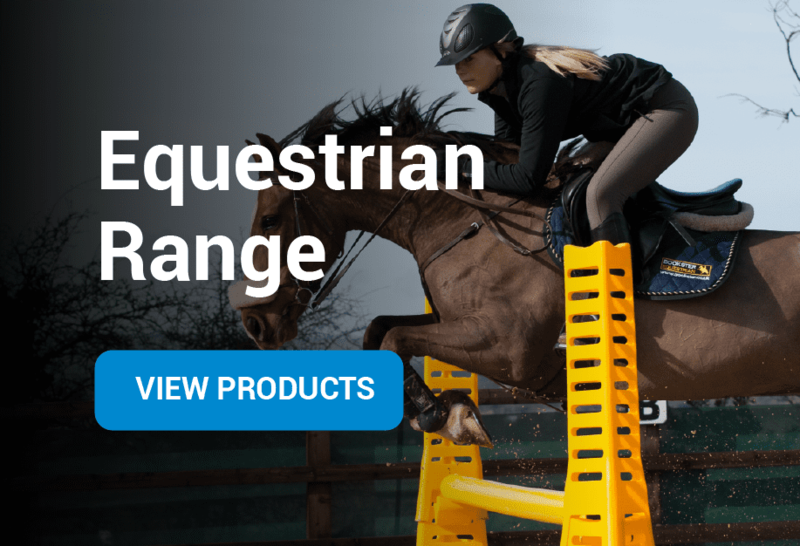 Very durable – can be left out all year with no fear of cracking. 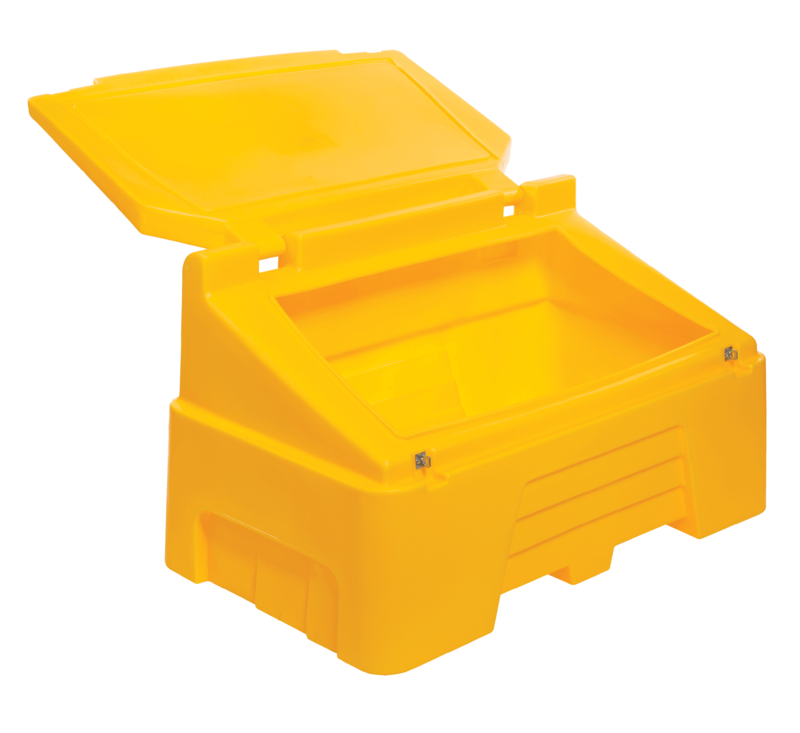 Hinged Lid protects the salt from the elements. Available from stock in Yellow and Forest Green. 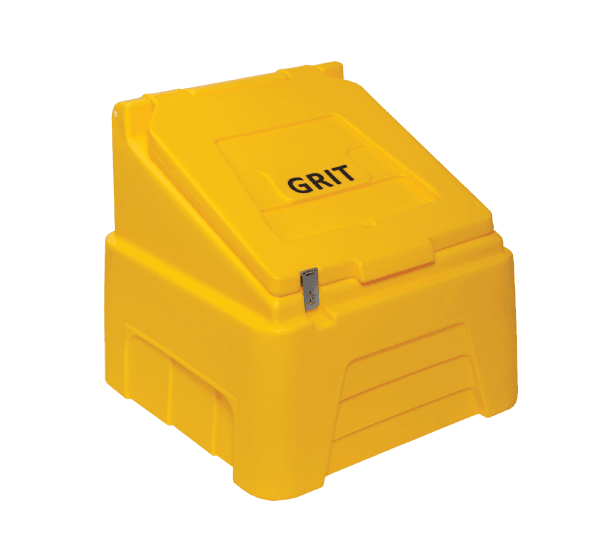 Hasp and staple fitted as standard. Embossed with GRIT Graphic as standard. 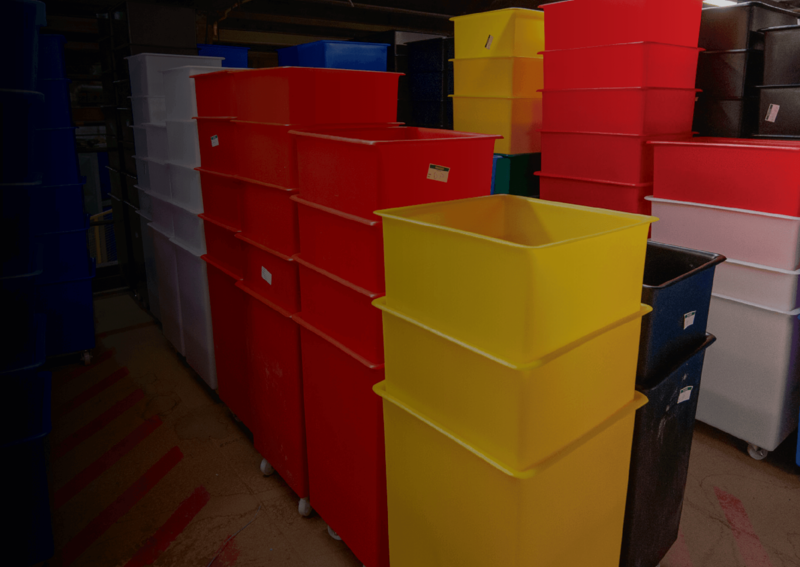 Bins can be embossed with personalised logo or details if required. 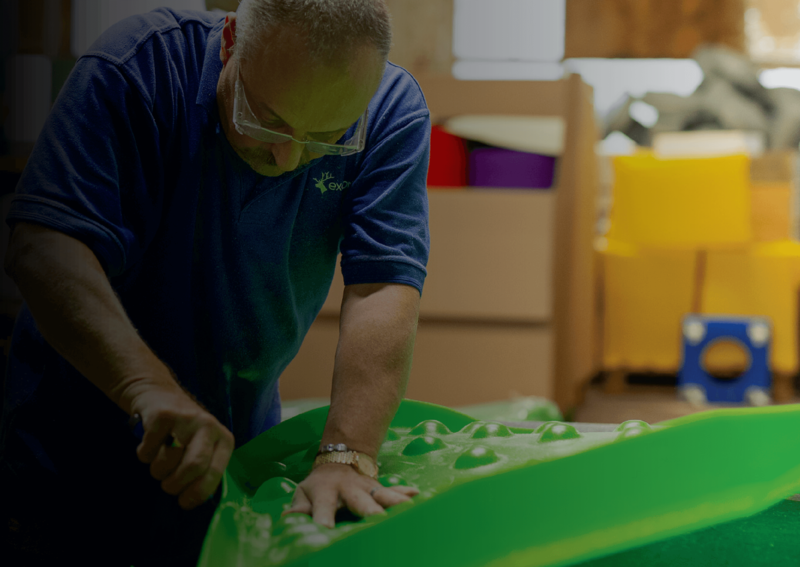 If you are interested in becoming a trade supplier, why not give us a call on 0161 765 2010.